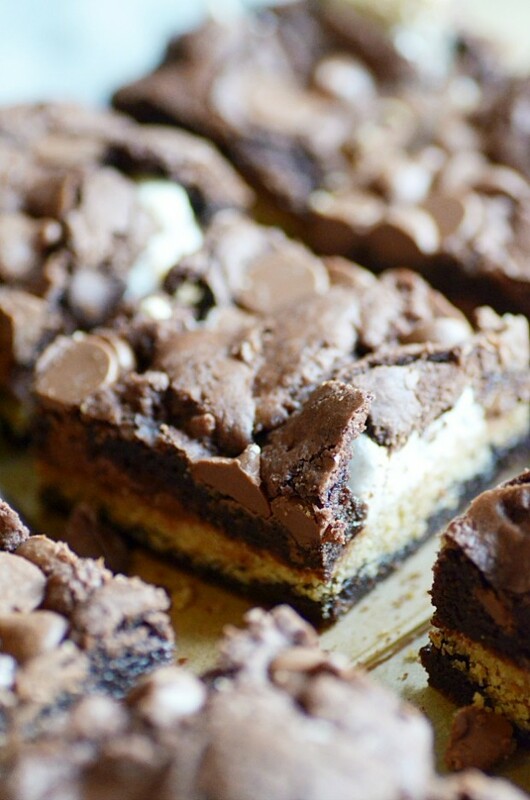 Chewy, fudgy brownie cookie bars with a marshmallow and Nutella swirl, graham cracker crust layer, and milk chocolate chips. If you’ve been hanging around Something Swanky for any amount of time at all really, you know my love of these brownie cookies. 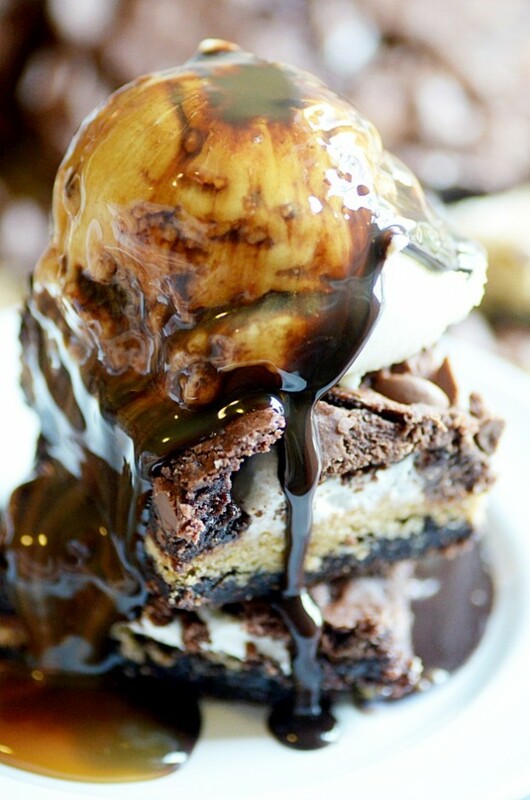 And if you’ve been stopping by for a little longer than that, then you also know that I’m obsessed with s’mores. Bringing the two together was simply the natural progression of things. 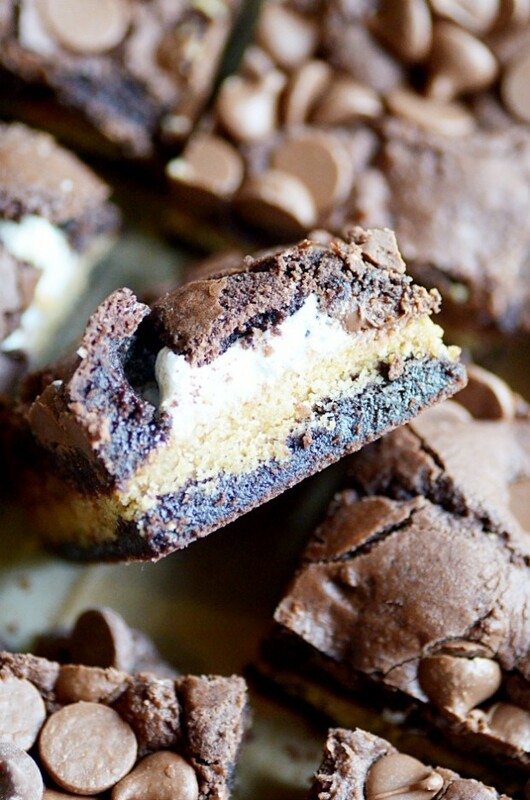 Ok, so… Brownie Cookie Bars. You may be wondering why I took brownies and turned them into cookies and then took those cookies and turned them back into bars. Yeah? And the answer is… I wanted something a little firmer than brownies, like a cookie, but still basically brownies. 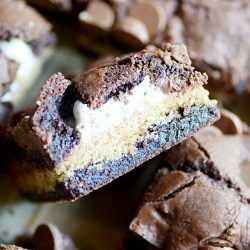 Ergo: my favorite brownie cookie recipe baked into bars. So, yeah. 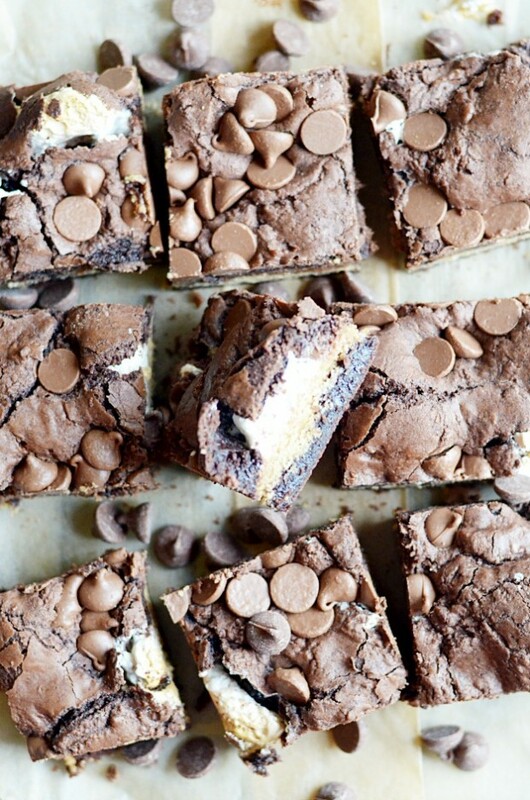 They’re basically still brownies. A little firmer on the tops and bottoms than a brownie, but still just as rich and fudgy in the centers. I know it’s a little backwards, but just trust me on this. It works. Speaking of centers… would you get a load of that?! ???? 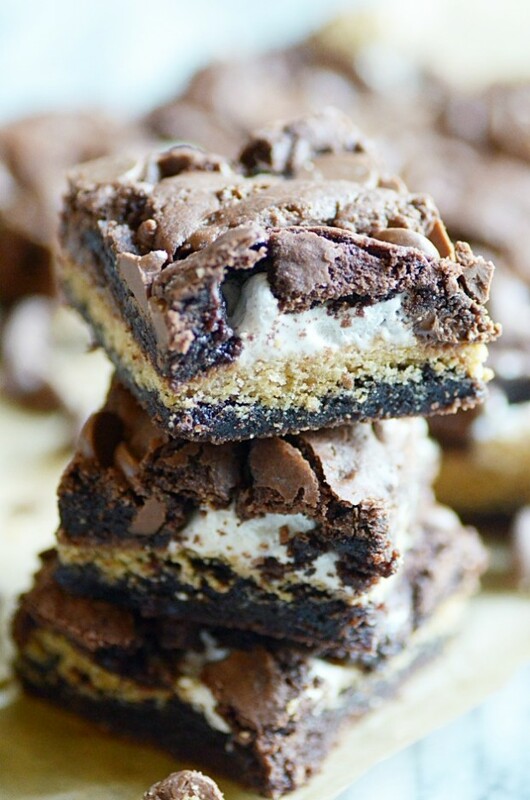 Sandwiched in between these rich and fudgy brownie cookie bars is a thick and gooey layer of marshmallow cream, Nutella, and a ridiculously perfect, buttery graham cracker crust. 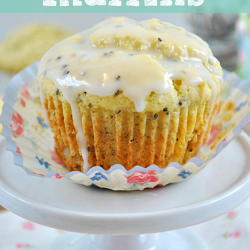 These are so, so, SO easy to make. You’ll only need one bowl– and you can make the graham cracker crust layer in a ziplock bag like I did, so there aren’t even any extra dishes needed there! Starting with the brownie cookie dough. It’s simply a variation on a box mix recipe. You will need an actual box mix, but don’t follow the recipe on there for brownie batter. 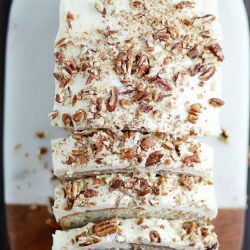 I’m giving you a different set of ingredients and measurements that will create a different texture than what you’d get using the recipe on the box. More cookie-like, remember? Next up, a dreamy graham cracker crust. I ALWAYS make graham crusts in a bag. It’s so much easier, less mess, less fuss, so it really just makes sense. Place the graham crackers in a gallon-sized zip bag and crush them up using a rolling pin until they are fine crumbs. Toss in the butter and sugar, and then nuke the whole bag for about 30-60 seconds, until the butter melts. After that, all you have to do is mush the mixture in the bag until the crust comes together! Dump it out over the brownie layer and press it down, easy peasy. 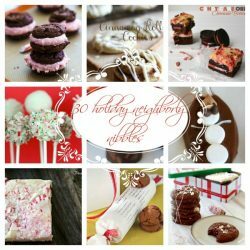 The marshmallow cream and Nutella layer is probably the hardest part, because they’re both so sticky. But if you have a release ice cream or cookie scoop, that pretty much solves all your problems. I just scoop on what I need and spread it just a little with an offset spatula. And then top with ice cream. Preheat oven to 350ºF. Prepare a 9x9 baking dish by lining it with parchment or foil and lightly spraying with nonstick cooking spray. 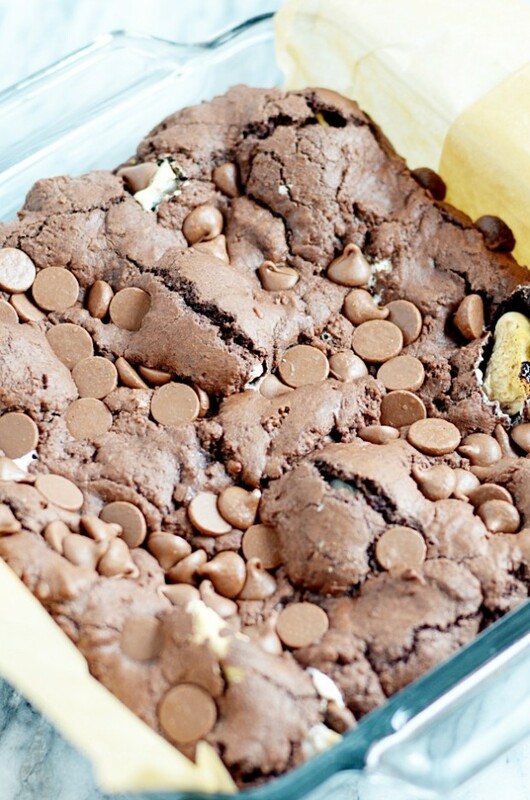 Mix together all of the brownie cookie ingredients until dough forms. Press about 2/3 of the dough into the bottom of the baking dish. In a gallon size ziplock bag, crush the graham crackers. Add the butter and sugar. Microwave for 30-60 seconds until butter is melted. Make sure the bag is zipped up well, and then "mush" the contents together until everything is mixed well and clumps together. Press the graham cracker mixture in an even layer over the cookie dough layer. Scoop the marshmallow cream and Nutella on top of the graham cracker layer. Use an offset spatula to spread slightly. Scoop out remaining dough about 1 tablespoon at a time and press flat using your fingers. Place pieces of dough over the marshmallow cream layer until all the dough has been used up. Press chocolate chips into the top of the dough. Bake for 20-25 minutes until edges look done and are slightly pulling from the sides of the dish.